The exhibition, featuring over 150 watercolours and drawings, celebrates Du Noyer’s extraordinary achievements and commemorate the bi-centenary of his birth. 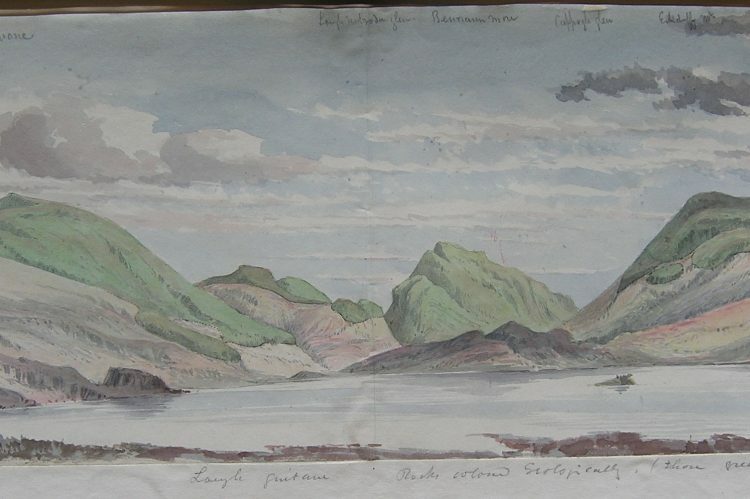 Opening to the public on 17 November, the exhibition is curated by Peter Murray, former Director of the Crawford Art Gallery, in collaboration with Petra Coffey, RSAI Member, and Geological Survey Ireland. Stones, Slabs and Seascapes will feature loans from the collections of the Royal Irish Academy, National Botanic Gardens, Glasnevin, National Museum of Ireland, Royal Society of Antiquaries of Ireland, Geological Survey Ireland and National Archives. All welcome! The exhibition continues until 24 February 2018. 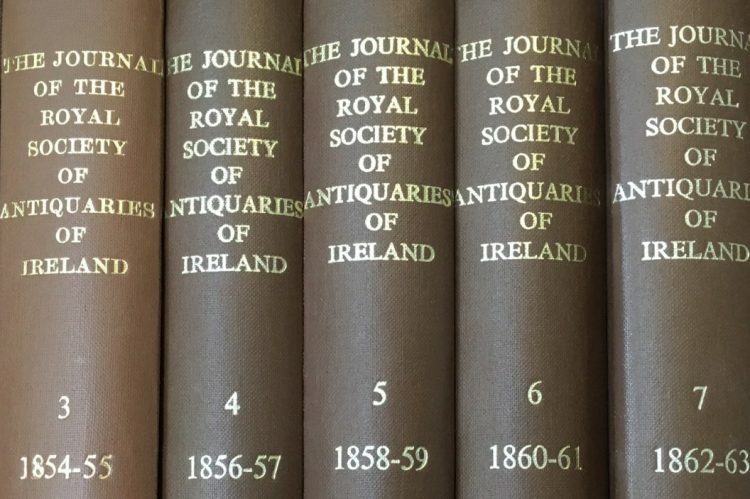 Membership of the Royal Society of Antiquaries of Ireland is open to anyone with an interest in the remit and activities of the Society. 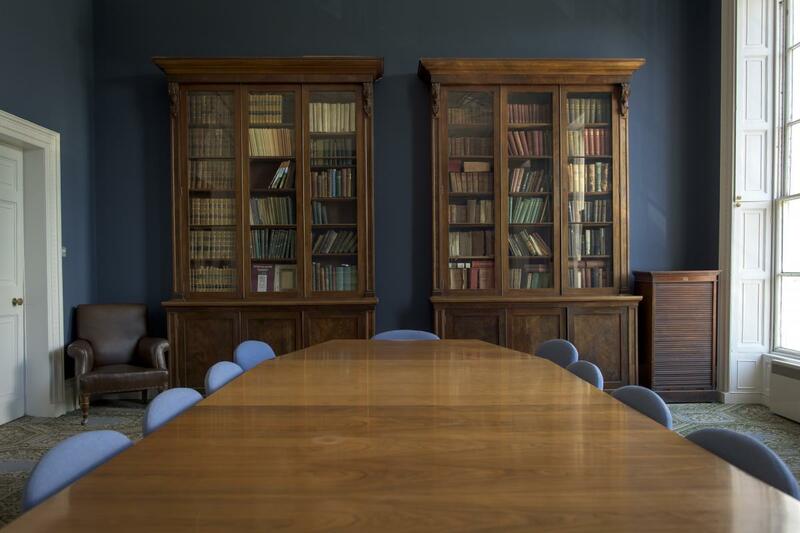 Members are entitled to use the Society’s library, participate fully in all Society events, and receive a copy of the Journal every year. 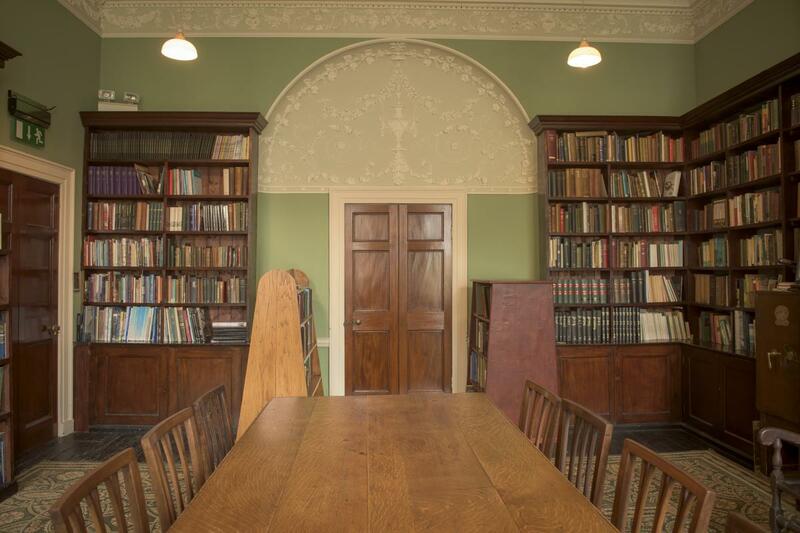 All Members can also avail of JSTOR access and receive several printed and e-newsletters throughout the year. The Society runs a full annual programme of lectures and talks throughout the year. In keeping with the traditions of the Society all Membership applications must be approved by the Council of the Society at a General Meeting. General Meetings take place on a monthly basis and any applicants for Membership are welcome to submit an application form to the Council. If an applicant wishes they can specify a current Member of the Society as a proposer, but if they prefer their application can be proposed by the Hon. Gen. Sec. of the Society. An applicant will be requested to pay their membership upon the approval of their application by the RSAI Council. For the convenience of members, it is now possible to pay membership subscriptions using Paypal or to set up a standing order. If you wish to pay using Paypal please choose the relevant option from the drop-down menu, then click on the subscribe button below and follow the instructions. If you wish to set up a standing order please contact us to request a form. We also accept payment of Membership subscriptions by cheque. The Royal Society of Antiquaries of Ireland (‘Society House’) is located at 63 Merrion Square, in the heart of the historic eighteenth-century South Georgian core of Dublin. Neighbours with some of the nation’s key cultural institutions, including the National Gallery and the National Museum, and situated in one of the most exclusive business addresses, Society House is also minutes away from the city’s premier shopping district. 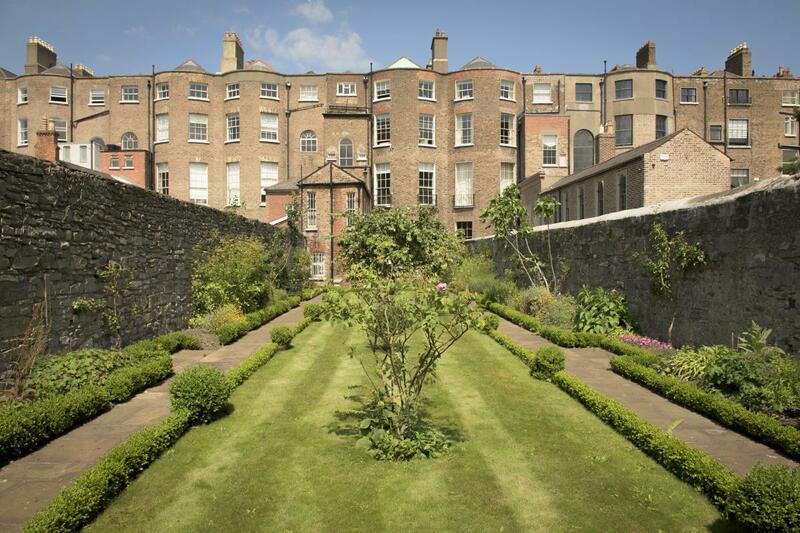 Although surrounded by streets of fine redbrick terraces, Society House is unique in Dublin, being the only fully intact Georgian town house and garden in the city, from the coal cellars under the front pavement, through to the restored garden and original coach house and stables (now operated as self-catering holiday accommodation) at the rear of the property. 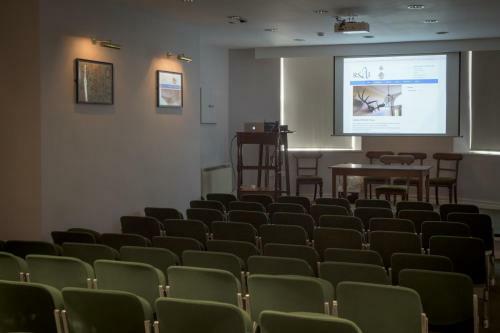 Society House is a unique venue for a range of events: there are two large reception rooms (first floor), a library (ground floor), a 100 seat fully equipped theatre (basement), and a private walled garden. 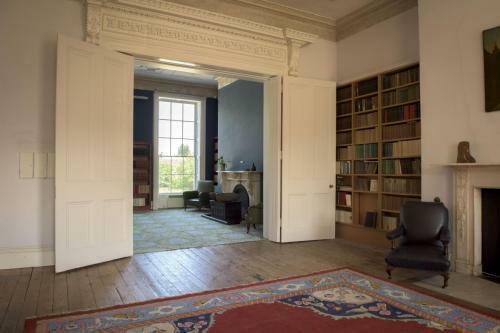 In recent months we have hosted conferences, meetings, book-launches, literature readings and recitals, and pop-up shops. 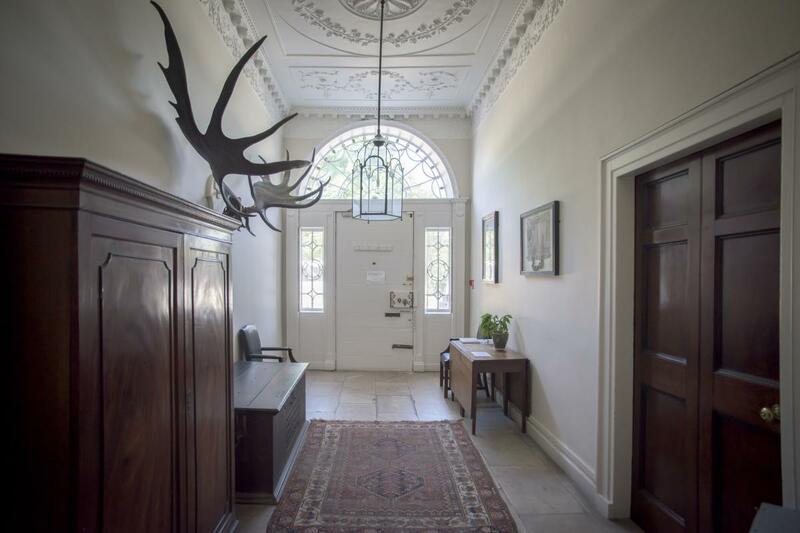 With its spacious reception rooms and beautiful eighteenth-century decoration, is it the perfect venue for boutique weddings and private parties. 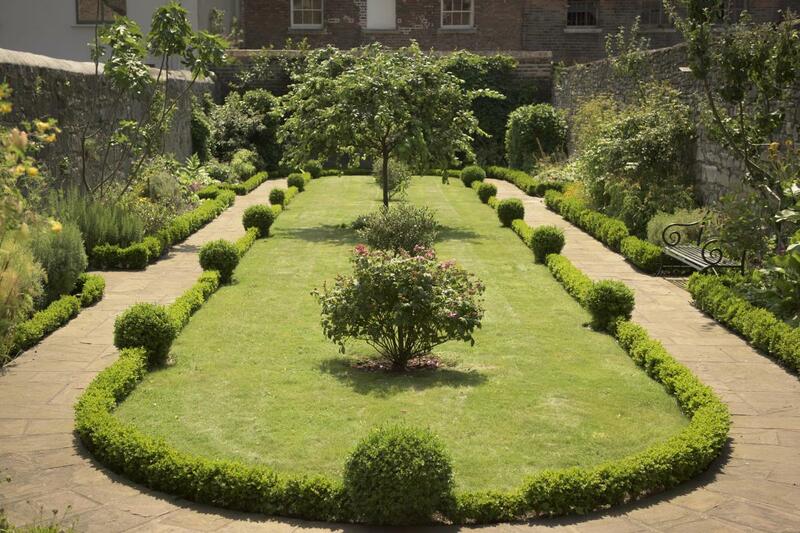 For further details or to enquire about rental please contact us here. In partnership with the Discovery Programme, the RSAI is currently taking part in an EU-funded project called locloud, which is working towards the online publication of the collections of small cultural organisations around Europe. 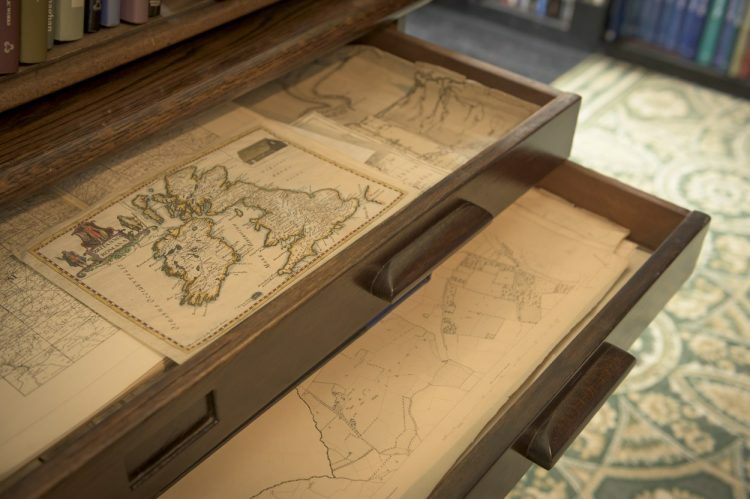 Our part of the project focuses on our collection of historic lantern slides, and of the drawings and notebooks of George Du Noyer (1817–1869), the noted artist, geologist and antiquary. These collections are being scanned and digitised by a small team of dedicated volunteers. To view our unique collections please click here. The Society periodically needs volunteers for this project. If you are interested in gaining experience with image digitisation and metadata please contact the Librarian for details on upcoming internship opportunities. 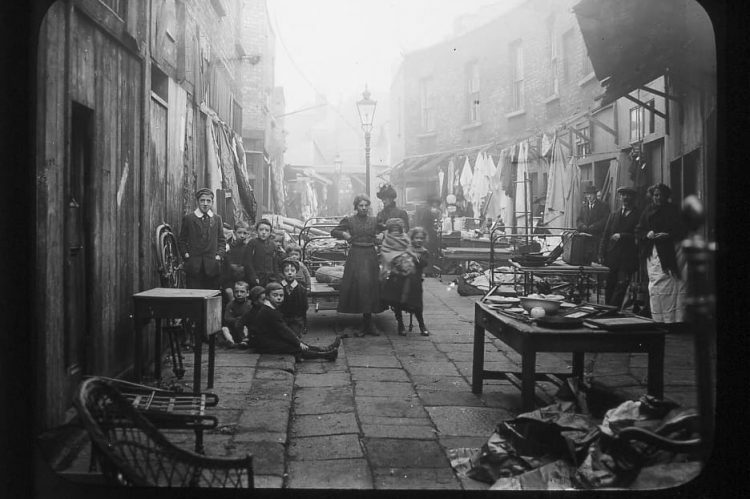 The RSAI image collections are available for use in a wide range of academic and commercial settings. Please contact the Librarian for information on costs and permissions. 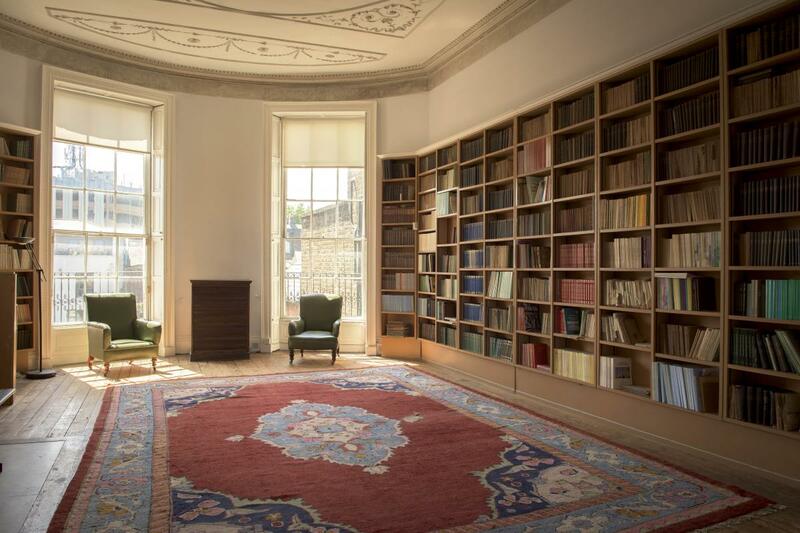 The Royal Society of Antiquaries of Ireland (RSAI) is one of Ireland’s premier learned societies. 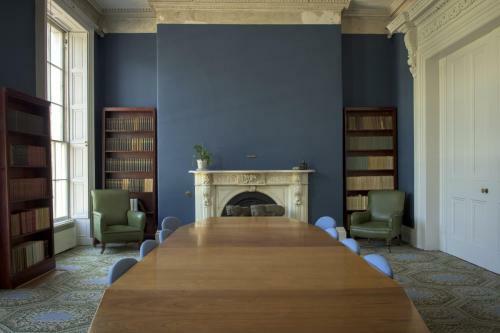 Established in 1849 with the aim to ‘preserve, examine all ancient monuments and memorials of the arts, manners and customs of the past, as connected with the antiquities language, literature and history of Ireland’, our ethos has always been non-sectarian and non-political, and membership is socially inclusive. 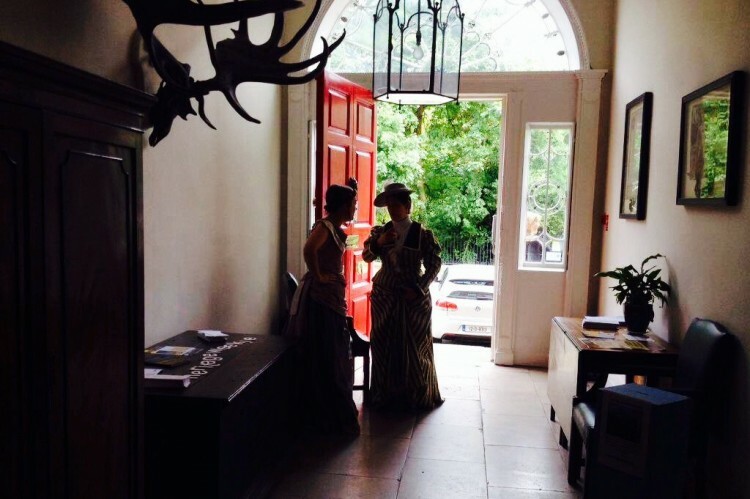 With our roots in recording sites and monuments, and in the practical repair and conservation of historic buildings, today the Society continues many of the activities that were initiated over 160 years ago. These include regular lectures and excursions, and the publication of a peer-reviewed academic journal. Members are entitled to use the Society’s library which contains books on Irish history, antiquities and archaeological and historical journals published in Ireland, Great Britain and continental Europe.